Feels awesome to back at my home computer and blog away to glory!! I apologize for being away for this long & want to send my love to everyone who messaged me, wondering where I have been :-) You have been so sweet in your messages, telling me you're missing the blog & asking me to come back soon... I'm doing something right for sure :-) Thank you again for all the love & support..!! I've been travelling for a month & have been missing my lil blog terribly :-) Now when there's travelling, there HAS to be some shopping right? So you're sure to see some haul posts coming up soon. Since I'm posting today after such a long time, I didnt want to start off with a review, so I'm going to start with something that I love doing more...creating simple, easy to wear looks & sharing it with you guys :-) I was in a mood to wear something subtle on the lips (...for a change LOL you all know I'm crazy about BOLD lip colours...hehehe) & here's what I put together yesterday. 1. 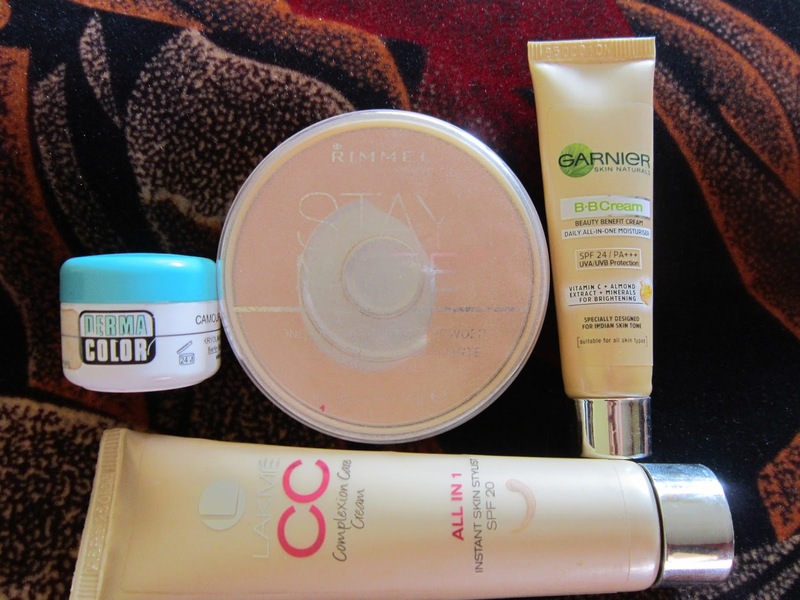 After moisturizing my face, I dabbed on a mix of the Garnier BB Cream & the Lakme CC cream. I've been loving this combo - the Lakme CC cream is great for coverage, while the Garnier BB cream makes it a little more runnier & easy to apply. 2. I then dabbed on the Derma Color concealer in D65 to the undereye area and around the nose to conceal any redness on my face. If you have dry skin, then you can skip the step, but I finished off the base makeup with my fav Rimmel London Stay Matte powder in 005 Silky Beige, since I have oily skin. 3. Then I applied the Maybelline Cheeky Glow blush in Creamy Cinnamon; this blush is great for everyday wear & I love using it during day-time. Another product that has become a fav since I got it, is the Wet 'n' Wild Fergie Rose Champagne Glow highlighter, which gives the softest glow ever!! 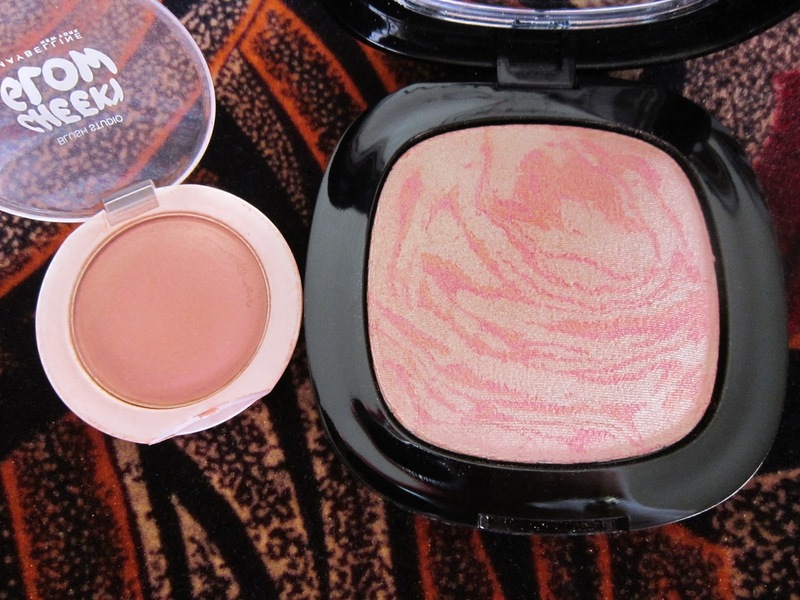 This one, you can't go wrong with & will definitely suit light to medium skin tones. I applied this to the high points of my face - cheek bones, bridge of the nose, cupid's bow (right above the upper lip) & chin. 1. 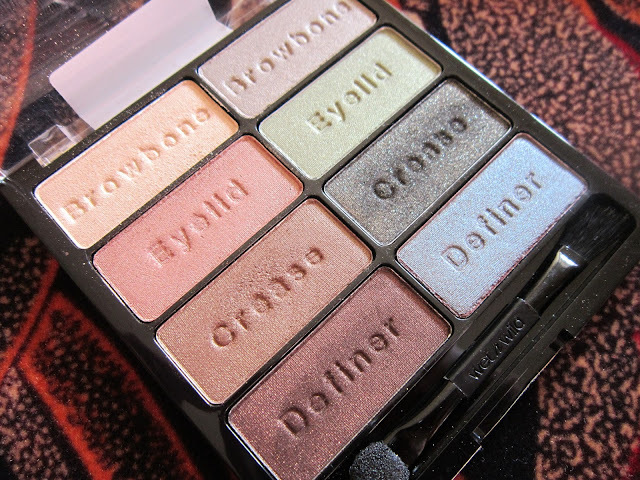 I mixed the (left row) 'Definer' & (right row) 'Crease' shades from the Wet 'n' Wild Comfort Zone palette & used them as a wash of bronze on the eyelids, as I wanted a 'one-shadow' look that day. You can use any bronzey, warm shade you like. To brighten up the inner corner of the eyes, I used the (left row) 'Browbone' shade from the same palette. 2. 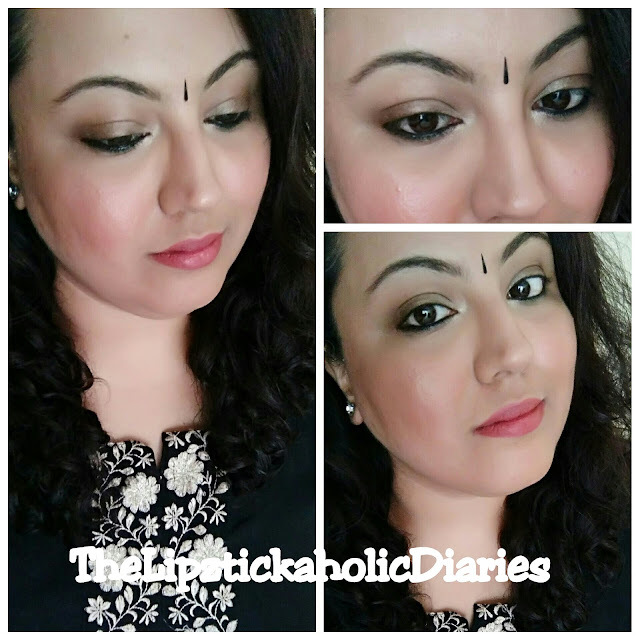 I had a no eyeliner look in mind, so I just lined the lower lashline with the Lakme Eyeconic kajal in Black, to give them some definition. 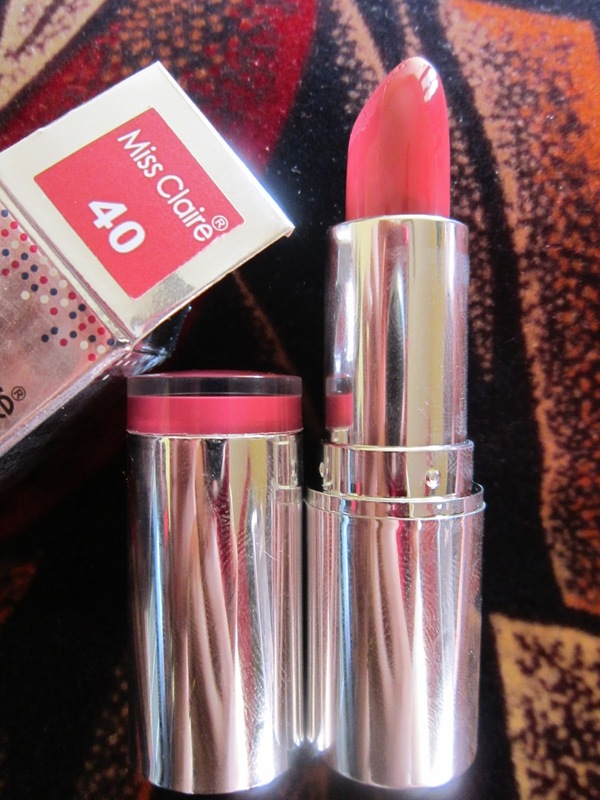 I applied the Miss Claire lipstick in no.40 (which I feel is a close dupe for Colorbar Velvet Matte Lipstick in 'Bare'). It's a *ude shade with rosy undertones. I felt it went really well with the overall look. Impressive! I really like your post! The lipstick and the blush goes perfectly on your face and you looking gorgeous! Love the makeup. Very soft and love the mild highlights.